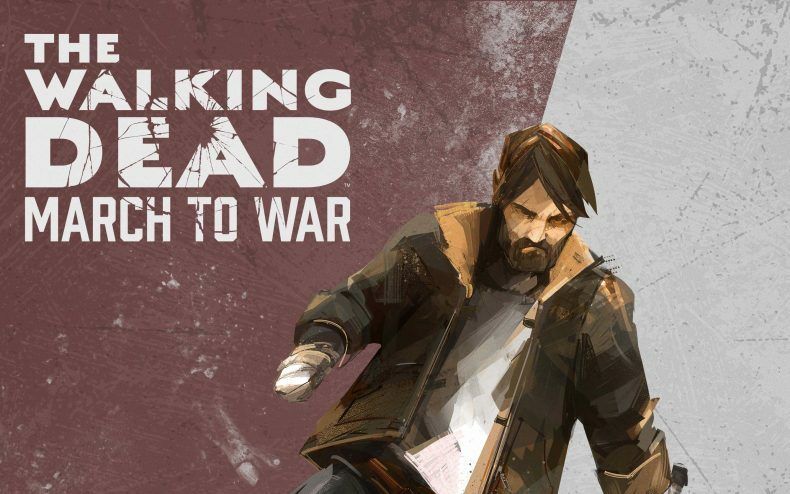 The next mobile phone game to use Kirkman’s characters will be The Walking Dead: March to War, app developer Disruptor Beam announced today. It’s a story-driven multiplayer strategy game, based on the comic book. 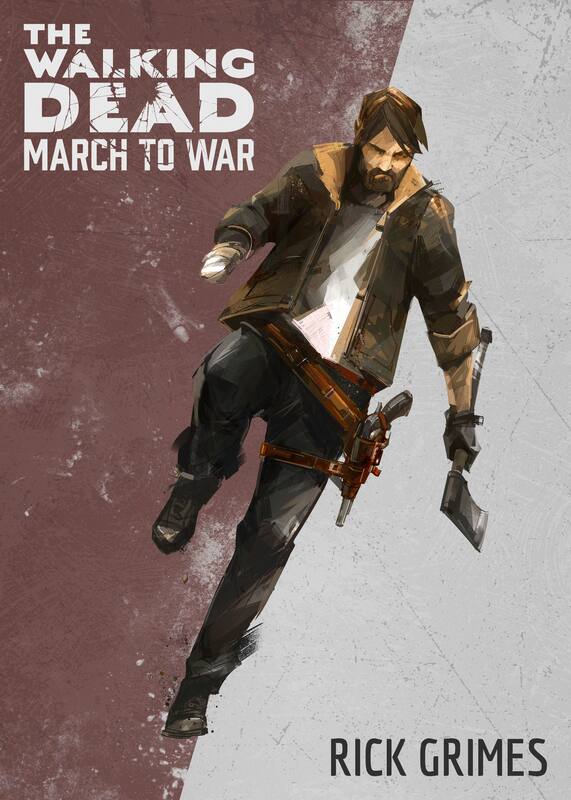 Players must fight alongside and against others for control of scarce resources in and around a devastated Washington D.C., while fending off walkers and attempting to rebuild society. 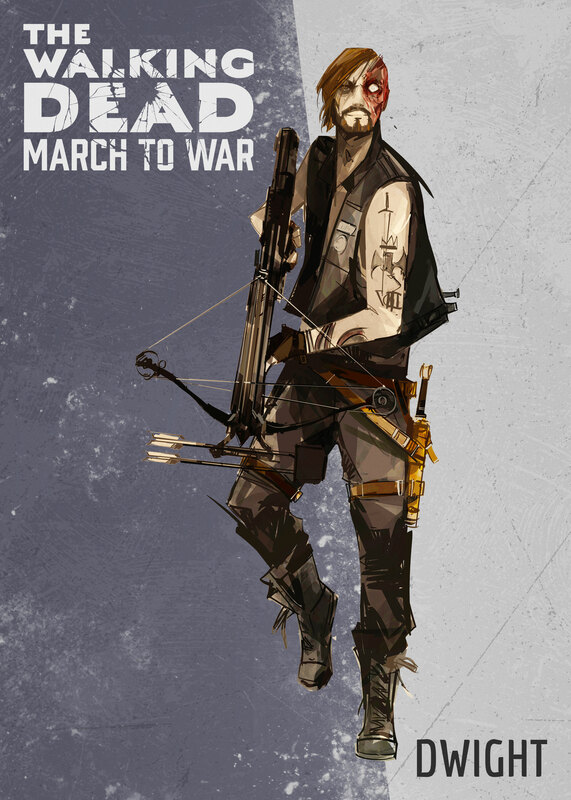 As the leader of a group of survivors, each player will assemble a team including a Council of well-known characters from The Walking Dead such as Rick, Michonne, and Negan. Faced with an ongoing series of moral choices, players will defend their camp against hordes of walkers and, the bigger threat, other survivors. 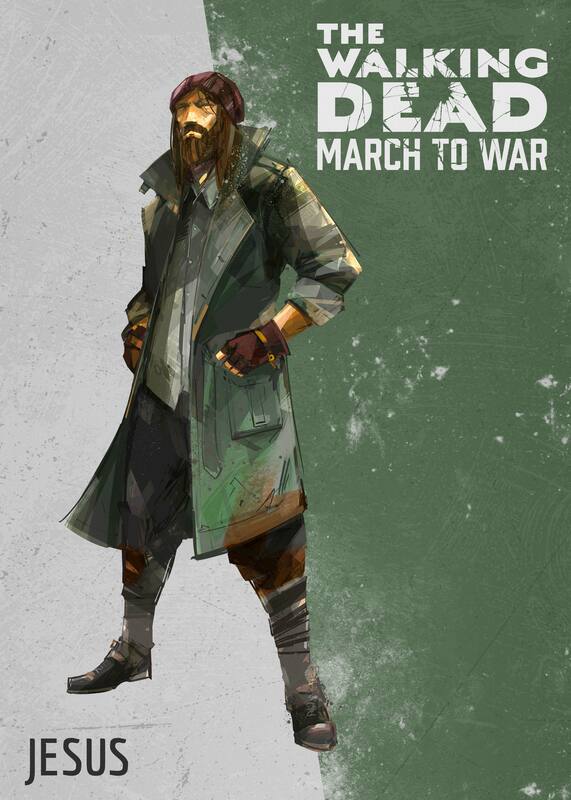 Inspired by the stark look of The Walking Dead comics, March to War will feature rich 3D graphics unlike anything seen in other The Walking Dead or strategy mobile games. Disruptor Beam has yet to release screenshots of what the game will look like, but to give us an early idea, they’ve given the press five pieces of character art: Rick, Rosita, Jesus, Ezekiel and Dwight. 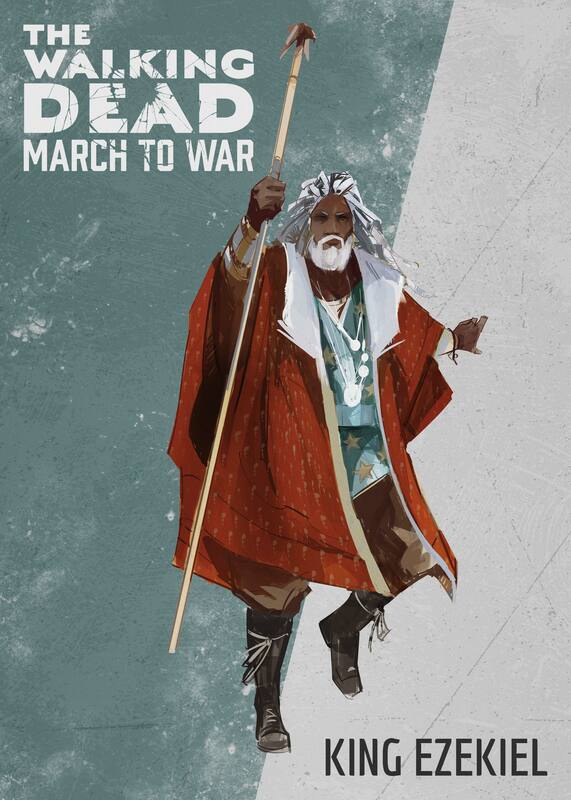 For more on The Walking Dead: March to War, read Disruptor’s interview with Allen White, the game’s art director (and the man who drew these). 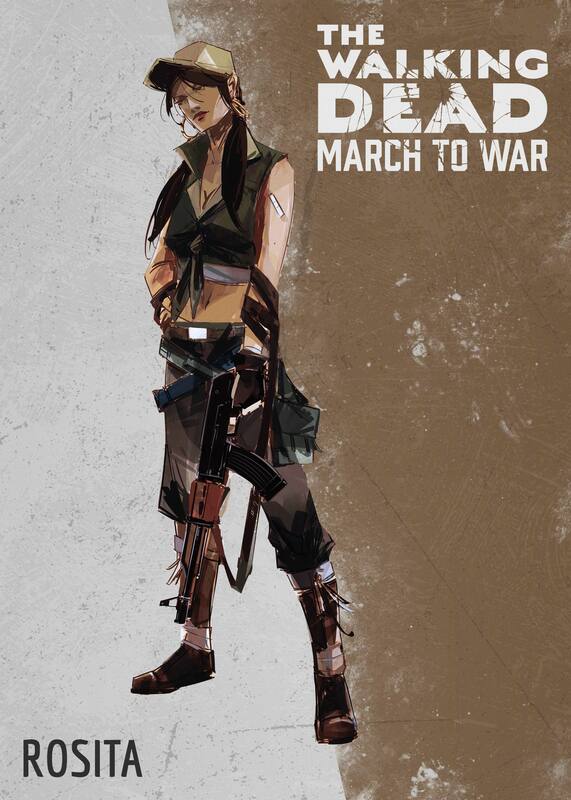 March to War will be released later this year for free on the App Store and Google Play. 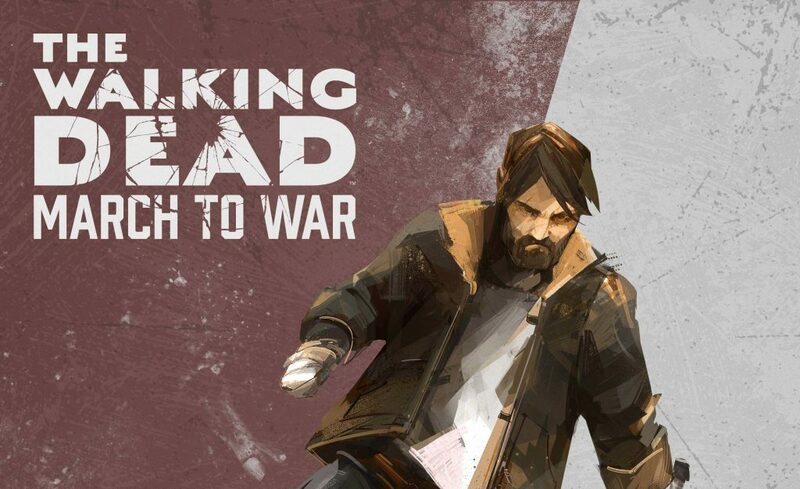 The Walking Dead: Left Behind Facebook App!